Did you just write a really great blog post but don’t know how to draw attention to it on the Internet? Content syndication can be an answer to your troubles. Syndicated content occurs when your content is essentially "pushed" to another site. That can be as a full article, partial article, a thumbnail or a link. You may be wondering if this is the same as guest posting. Content syndication is not the same as guest posting. In guest posting, you’re creating new content for another blog or third party website, where as in syndication you’re giving the rights to republish your material on their website. When it comes to content syndication, there are multiple benefits depending on your need and perspective. Let's look at two in the context of original content creator. As with most things in the digital marketing world, one size does not fit all and the tactic needs to be customized to your specific needs. One constant though is that when you’re looking on places to syndicate your content, take an extra careful look at their reputation, since yours will be represented along with it. Content syndication could be a great tool for a variety of uses. However, in certain situations you may want to "manage" or limit it for it to be most effective. Let's look at three below. Situation #1 - If you want readers to be your followers, not people who stumble upon your page, syndicating someone else's content isn't going to help. It would seem to be providing the opposite effect. In order to build your following, you must have your own interesting and unique content that consistently draws and sustains your readers to your website organically. Situation #2 - Struggling to get started? A good place to start is by syndicating your strongest blogs and articles. Now this isn’t as crazy as it might sound. Assuming your goal is to increase your audience from people who read your content on a different website, what better way then to hook them in with your strongest blog posts? Situation #3 - What is the proper frequency for syndication? Again, there isn't a one size fits all answer. The answer is it depends. There is no right number. With everything in business, you have to start with a plan. 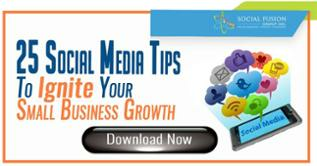 Maybe you’re brand new to digital marketing and you want as much exposure as possible. How many sites should you syndicate on and how often should you post? In this example, the strategy might be to start with 2 sites and publish a limited amount while reviewing the response. Then readjust accordingly. There are so many nuances, you will need to manage this as it evolves. There is a common misconception when it comes to content that any duplication of copy on your site whatsoever will hurt your search engine optimization. While there are certainly penalties for repeating content on your site, or having the same exact copy on two different domains altogether, there are ways to recycle content correctly. The long-standing approach to recycling content is to retool the copy and combine it with new material so that it becomes a new piece entirely. This is still a good option for content creation when you are focused on search engine optimization, but there are some new(er) options to recycle your content without having to completely recreate your previous copy. Canonical linking is an excellent option for content creators who are looking to bulk up their site with quality content for the live viewer on the other side of the monitor. Using a canonical link allows you to be able to copy content word for word from your pieces or anyone elses, without facing the negative consequences of duplicating content. To utilize this technique, content creators simply copy the content that the wish to publish and include a canonical link in the HTML code of the page which will point search enginges back to the original source page. When using this tactic, it is important to remember that you will not rank for any of the keywords used within the piece you are duplicating. The canonical link tells the search engine not to rank your page, rather it points them back to the original site where the content was drawn from. Here is an example of what a canonical link looks like. As we've been discussing, it seems intuitive enough that someone creating a piece of content on a website that may not have a lot of traffic or visibility would seek to syndicate with a site that does. Clearly, a relationship like this could create more exposure to their content. So the "win" for the content creator is potentially significantly more visibility than they can generate on their own, which could be very beneficial. Let's examine the inverse relationship. Can a higher authority site publish a piece of content and lower authority sites pick it up? If so, what happens? Actually, this is a scenario that happens quite frequently. 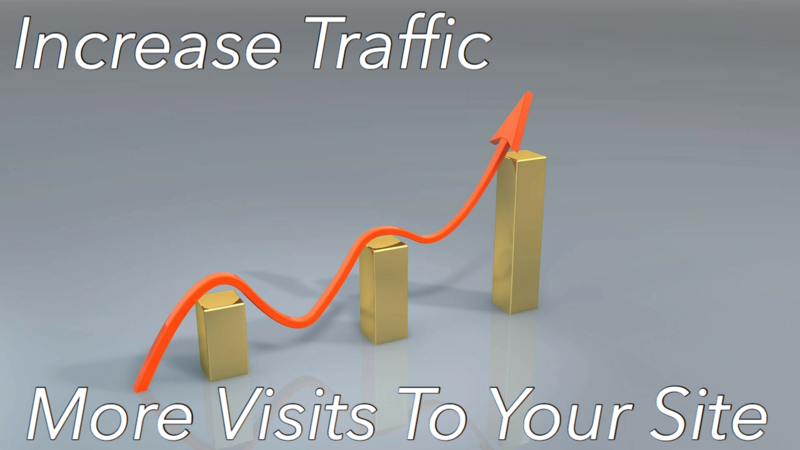 In this scenario, a higher website authority being syndicated by a lower authority website will drive "some" traffic to their webpage, which if magnified across many sites, could produce a nice effect. On top of that, they won't necessarily need to worry about some of the SEO impacts. From the lower quality site's perspective, they are syndicating to (a) drive traffic to their site while (b) not spending time on content creation. The "potential" negative to this is that it typically minimizes the lower quality site from building up their internal brand and highlight their expertise. However, a case can be made that their brand is based around curated content, so this could be mitigated. Here's an example of this in action. This image is from the content analysis tool called BuzzSumo. We typed in an article we enjoyed reading and actually found that it had been syndicated 3 times! If you click on each link, the material is exactly the same and the credit is given to the original author. Lets analyze it a little more. This was written by Sarah Dawley and published on July 18th. The original content was posted by Hootsuite, a website with a high authority. We can see by the total number of shares that Hootsuite generates their own exposure very well since it’s been shared the most from their site. Although the syndicated copies may not have had a lot of shares, it doesn't mean a large or even new audience hasn't viewed it. In this context, this should be consider as "add-on exposure" for Hootsuite and quality content for the other three syndicators. 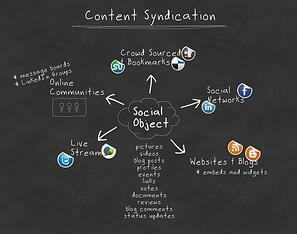 Content syndication could be a tactic you want to have in your digital marketing tool kit. Like any other tactic, you need to consider your direct application and strategy for it before you jump in. 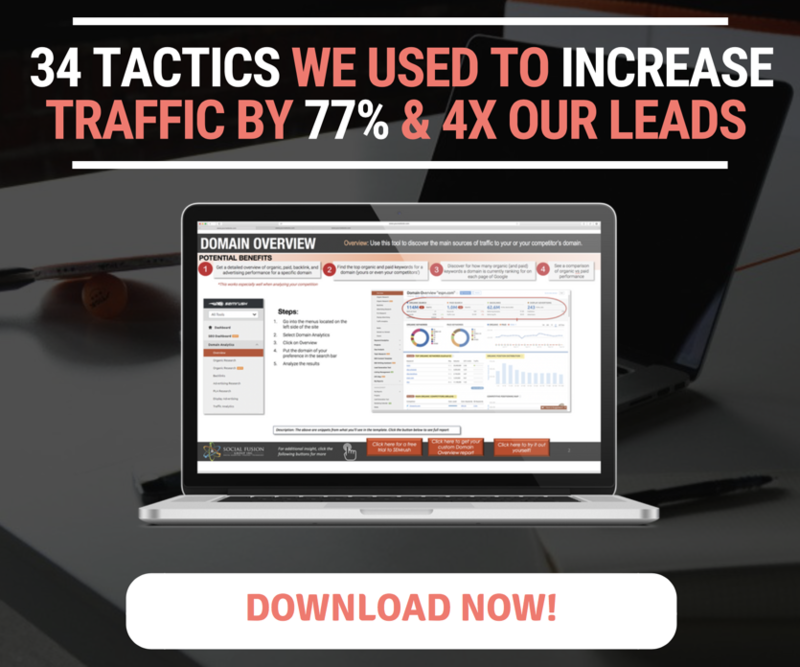 These are some of our insights to help you benefit from this tactic, what are some of yours?